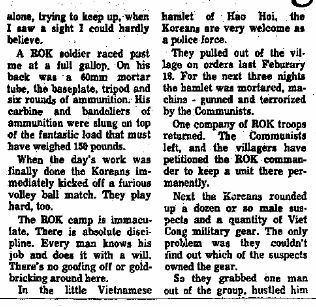 Earliest American Report of Taekwondo? Above: Photograph that appeared in the June 5, 1966 Trenton Evening Times. According to website of the International Taekwon-Do Federation, the history of Taekwondo in America began in 1966, when was founded by the art’s founder General Choi Hong Hi on March 22, 1966. A Taekwondo demonstration at the United Nations headquarters in New York City in 1963, caused the formation of the U.S. Taekwondo Association in 1967, which later was superseded in 1974 by the U.S. Taekwondo Federation. 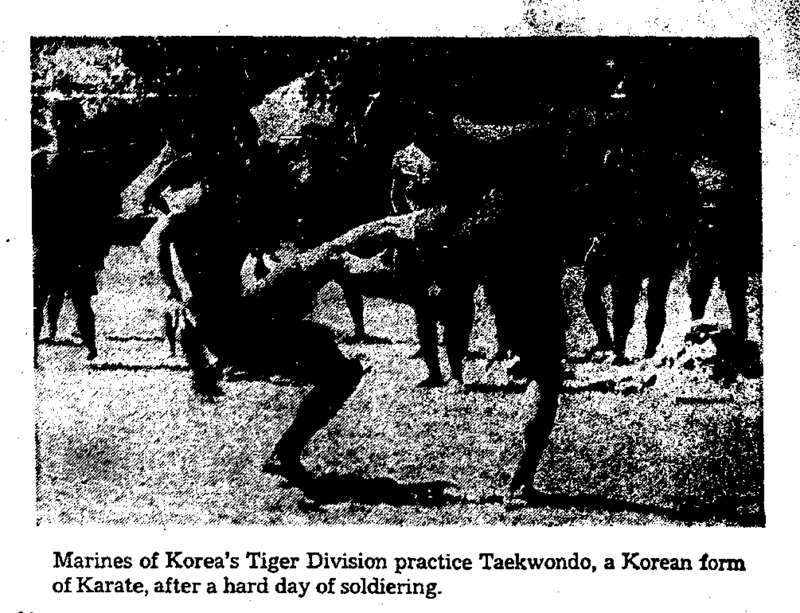 In Korea, the study of Taekwondo spread rapidly from the army into high schools and colleges. In march of 1966 Choi founded the International Taekwon-do Federation (ITF), which he also served as president. Choi later resigned as the KTA president and moved his ITF headquarters to Montreal, Canada, from where he concentrated on organizing Taekwondo internationally. His emphasis is on self-defense methodology, not particularly on the sport. By 1974, Choi reported that some 600 qualified ITF instructors were distributed throughout the world. 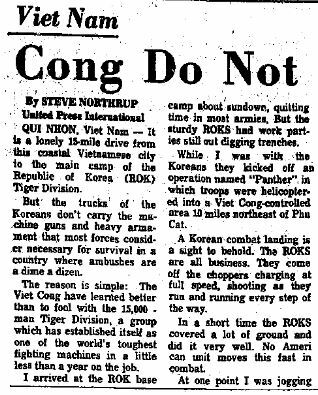 Despite some searching, we could find no period account of the 1963 United Nations demonstration. 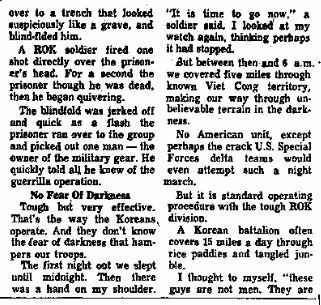 The following article, with accompanying photograph, appeared in the Trenton Evening Times on June 5, 1966. Could this be the first report of Taekwondo in America, or one of the first? Don’t know about this.. !966 seems late. . I was ALREADY studying Tae Kwon Do at NYU School of Ed gym with Grandmaster Duk Sung Son in Nov 1965 and that class was already well established. He had put on a Demo of TKD at the World’s Fair in ’64 and had been on the cover of Esquire Magazine along with a boxer and wrestler ( Whose names I am sorry I have forgotten, but they were both famous champs.) There has always been a dispute between Grandmaster Son and General Choi Hong Hi over who was the ‘real’ founder of Tae Kwon Do. I was a direct student of Grandmaster Son from Nov ’65 until his death in March 2011. For more info on Grandmaster Son see http://en.wikipedia.org/wiki/Duk_Sung_Son – of course followers of Gen. Hong are going to insist that he was the founder… I am convinced both were honorable men and devoted teachers. Thanks very much for the information, Jake… fascinating to know. I’ll keep searching back in the archives and see if I can come up with anything earlier!